Celebrated in the first week of May since 1985, Public Service Recognition Week honors the men and women who serve our nation as federal, state, county and local government employees. Members of the IAM and the National Federation of Federal Employees (NFFE-IAM) include doctors and nurses who care for veterans at the VA, first responders who tame wildfires and Defense Department workers who build and maintain the military equipment keeping our servicemen and women safe. Why do you love public servants? Jot down a reason why you value public service workers on this sign, print it out, and then take a picture of you holding it. 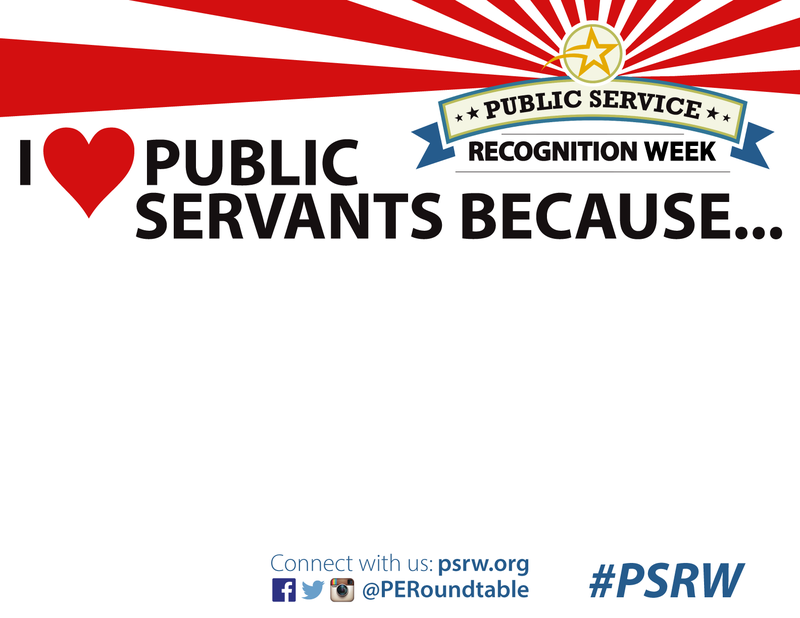 Use the hashtag #PSRW and tag @MachinistsUnion on social media and we’ll share your post!